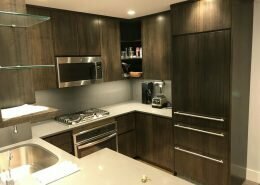 This modern kitchen required a simple and fashionable solution – a wall kitchen cabinets with comfortable appliances and modern organizing and closing doors’ systems. 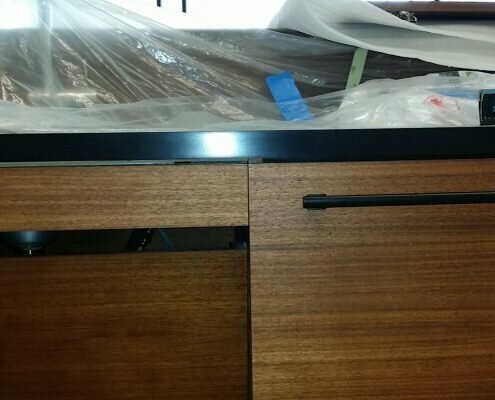 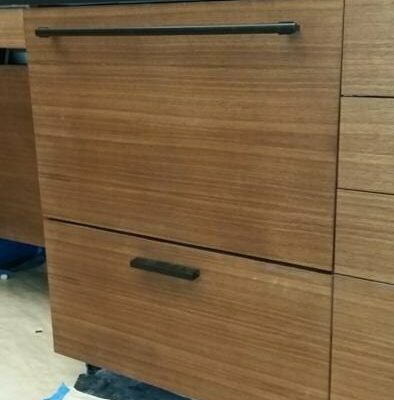 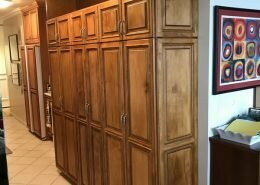 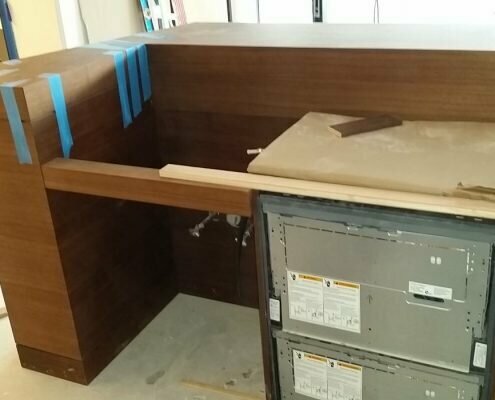 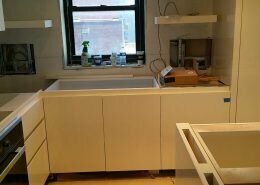 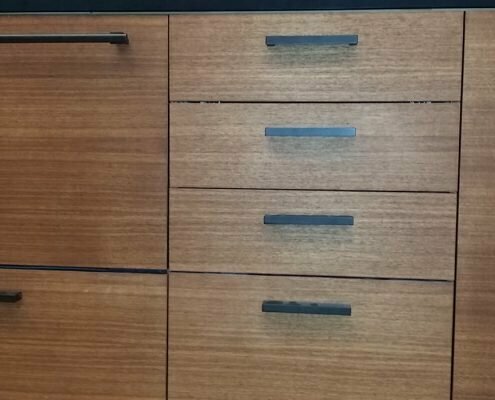 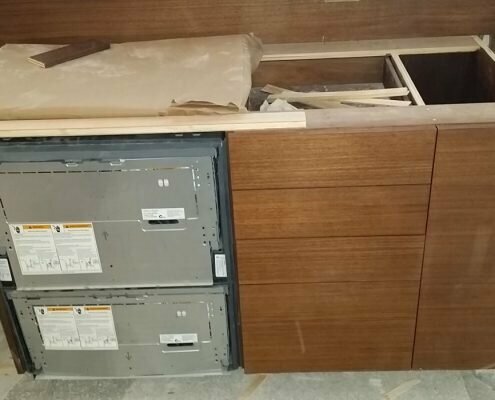 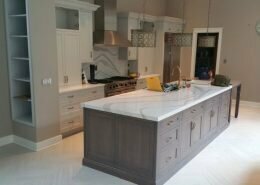 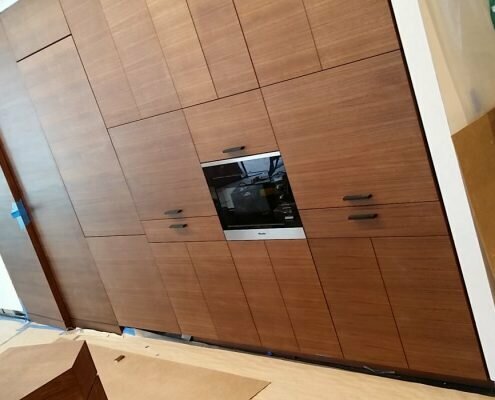 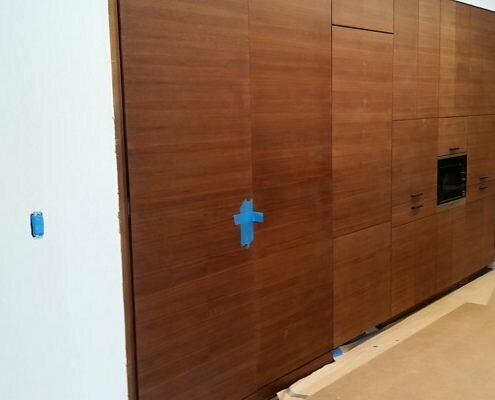 Custom kitchen cabinets/ pantry and kitchen island were made of walnut plywood inside, walnut veneer on MDF fronts w/ stain & flat clear lacquer finish. 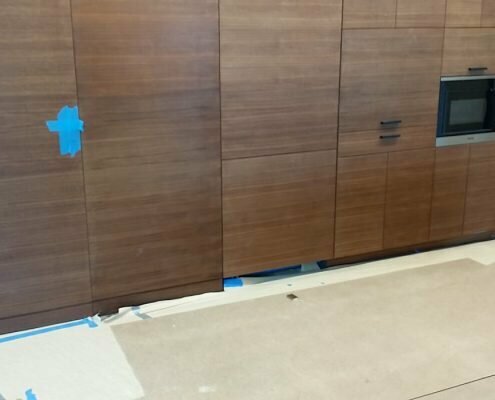 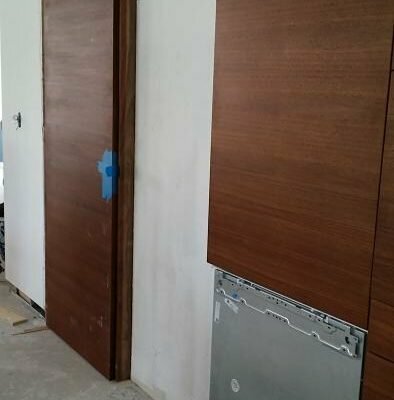 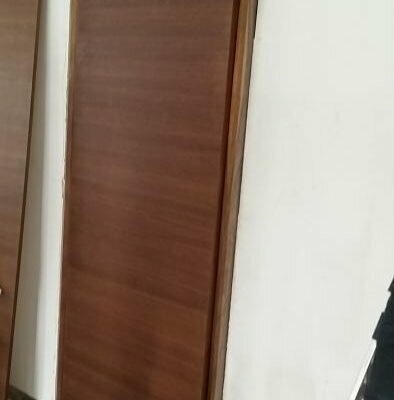 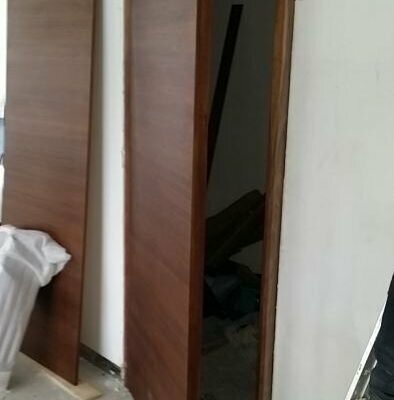 We also fabricated doors with walnut veneer. 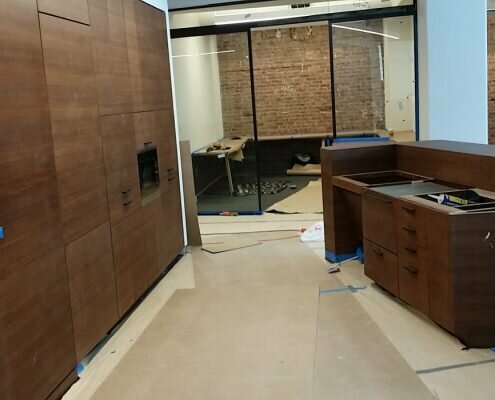 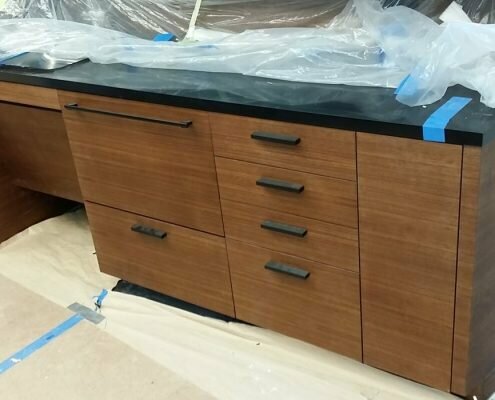 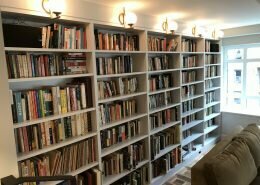 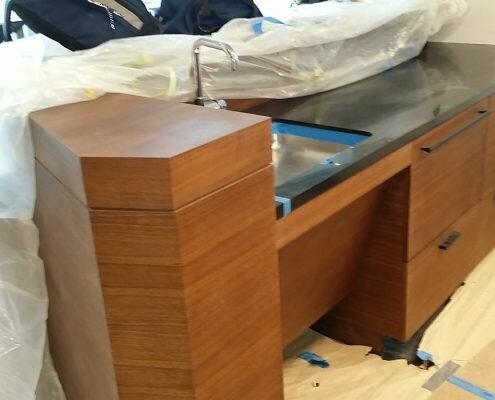 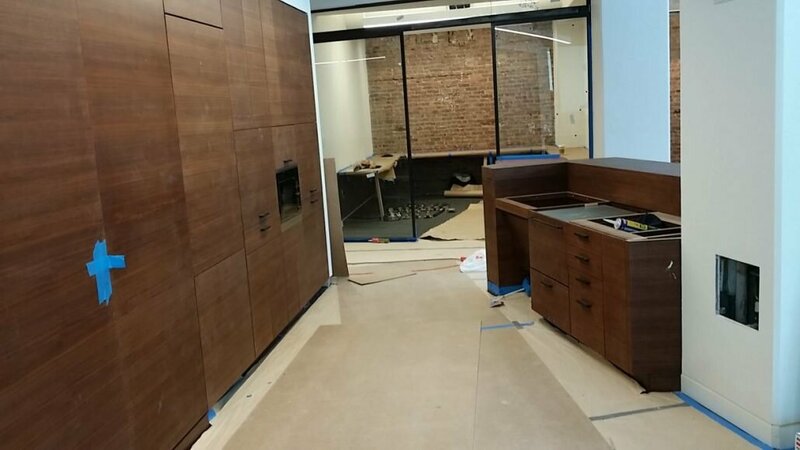 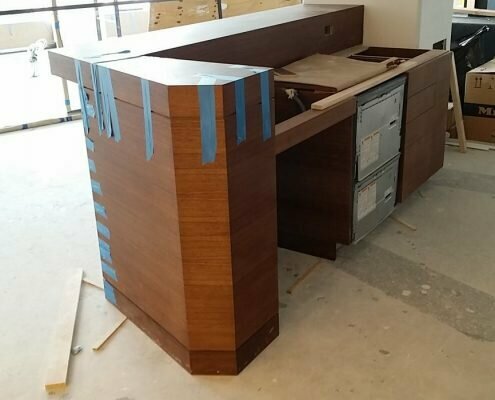 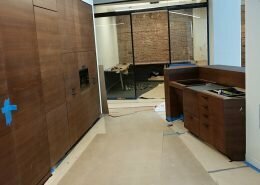 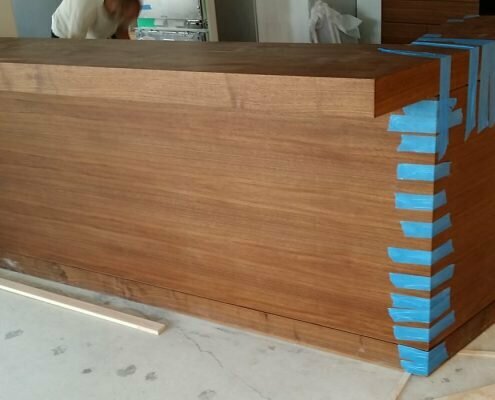 We used walnut plywood inside and walnut veneer on MDF fronts w/ stain & flat clear lacquer finish. 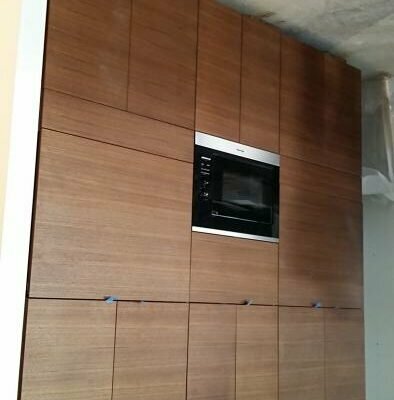 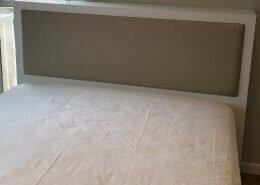 This seemed to be a simple job but it was very time consuming., especially matching the wood grains and colors. 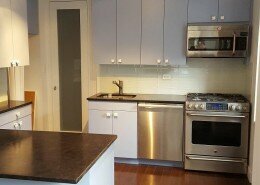 We also used very modern appliances and organizing elements.